Home » GBP » Pound Sterling to South African Rand Exchange Rate Forecast: Will BoE Governor bring GBP/ZAR Gains? Pound Sterling to South African Rand Exchange Rate Forecast: Will BoE Governor bring GBP/ZAR Gains? The Pound (GBP) has advanced by 0.4% against the South African Rand (ZAR) today, rising to a level of ZA18.1566 in the GBP/ZAR pairing. This exchange rate advance comes ahead of potentially greater gains, when Bank of England (BoE) Governor Mark Carney gives a speech later this morning. Mr Carney will be speaking during a visit to North East England and could mention the BoE’s stance on interest rates. If Mr Carney responds favourably to the latest UK PMI data and hints at an interest rate hike in 2018, then the Pound could rise sharply against the Rand. Currency traders have currently priced in a 60% chance of an interest rate hike in August, but any implication of a rate hike this year could be enough to boost the Pound. ‘[The services data] suggests that the economy is having a better ride in the second quarter than in the first … for the Bank of England, this will be put a fairly big tick in the August rate hike box. Is Pound Sterling to Rand (GBP/ZAR) Exchange Rate Advance ahead on UK Output Data? Looking ahead to the coming week, there will be another opportunity for GBP/ZAR exchange rate gains on Tuesday morning’s output stats. Readings of industrial, manufacturing and construction output for May are all expected to improve, which could lead to the Pound rising further against the Rand. The monthly industrial and manufacturing readings could boost GBP trader confidence, as they are forecast to move from negative readings to positive printings. Next week’s South African data has a chance to cause ZAR/GBP exchange rate gains, if Thursday’s mining output readings improve above forecast levels. Mining is a key component of South African economic growth and as April’s readings printed negatively, ZAR traders will be looking for positive results in May. At the time of writing, forecasts have been for minor growth during May, but for continued negative figures for the month-on-month and year-on-year readings. If all mining and gold production stats beat forecasts and print positively, the South African Rand could rise sharply against the Pound towards the end of next week. 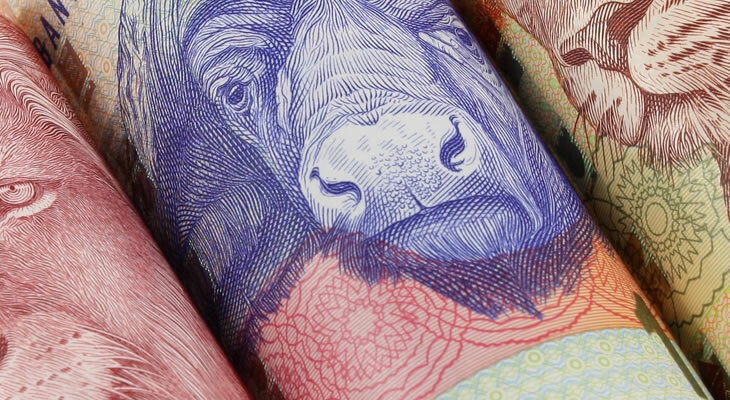 Can South African Retail Sales Growth Boost ZAR/GBP Exchange Rate? Beyond the incoming ZA mining data, the South African Rand to Pound (ZAR/GBP) exchange rate could also be positively affected by retail sales stats on 18th July. Data for May is predicted to show rising levels of sales activity on the month and the year, which could raise confidence among ZAR traders. That said, the ZA data is considered low-impact compared to UK inflation rate figures also out on 18th July, so the Pound could be the more dominant currency on the day. Previous ArticlePound Canadian Dollar (GBP/CAD) Exchange Rate Forecast: Will Strong Labour Figures Drive the ‘Loonie’ Higher ahead of BoC Meeting?